Now that the winter season is pretty much behind us, we'll naturally tend to focus on introducing new spring pieces into our wardrobes. And that’s a good thing if you need to update your wardrobe or want to experiment with some new looks! But when thinking about updating your wardrobe, here’s one thing I don’t want you to forget about – end-of-season sales!! That’s right – winter clearance items! Boy, do I love sales and I bet you do as well! Apart from Black Friday and after holiday sales, this is one of the best times to refresh your fall/winter wardrobe. During the end of each major selling season, retailers are very eager to clear out their inventory to make way for newer looks. As a shopper, you are incentivized with much lower prices and as such, you can snag some great deals, especially on quality pieces! Since spring has sprung, there are some great sales going on right now. I want to help you build your winter wardrobe for next season. I want to help you feel great about smart, quality wardrobe choices at great prices. 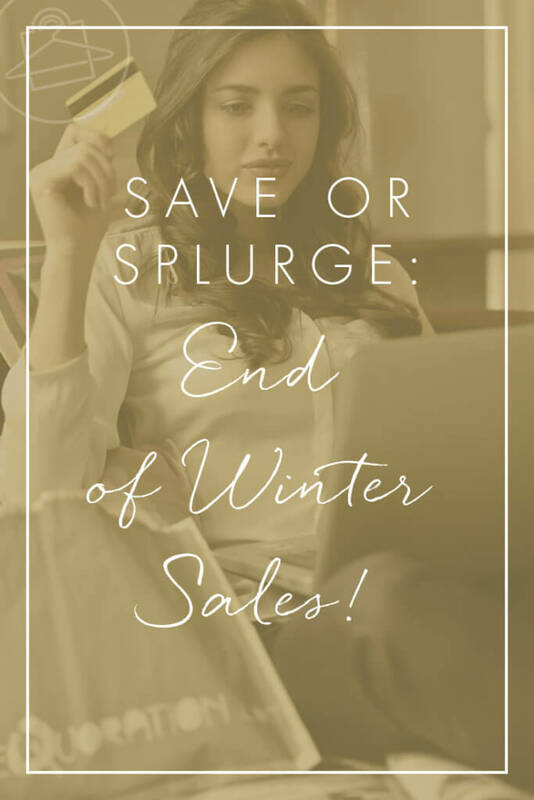 Soooo….I’ve curated sales items across the major winter clothing categories and am giving you the choice to Save or Splurge. You can “Save” on sales items that are under $150 or you can “Splurge” on items at higher price points but are still reduced up to 70%. How sweet is that? Okay, let’s get started! As you peruse each category, you can decide which items you want to Save or Splurge on – either way, you’ll strike some great deals. Check out my personal recommendations below and have fun shopping! 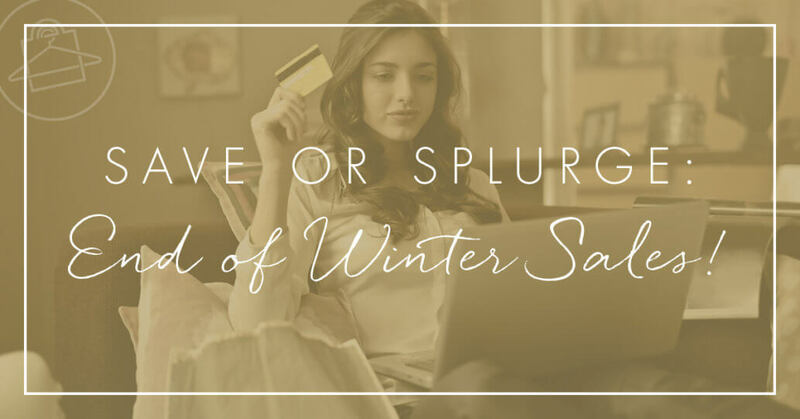 Will You Save or Splurge? I'm confident that any one of these items would be a great addition to your fall/winter wardrobe. And if you see something you really like, snag it! These prices nor inventory will last very long! Comment below and let me know what you saved or splurged on (or heck, even both! ).